A credit card and a rental car can be a dangerous thing. I don't generally take a lot of vacations. I travel a lot for a living and get to see places you would never normally get to see on your standard vacation, so a typical vacation seems a little drab. 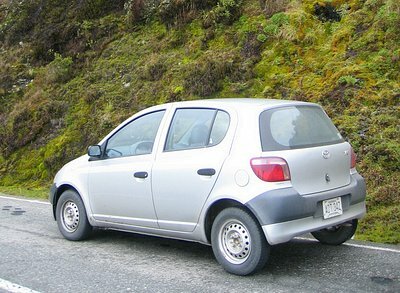 After our return to Caracas, and after a couple of days of data processing, partying, packing, and shipping, Pnina and I were ready to hit the road in our Toyota Yaris. We rented it from the same company that we got the first car from, ACO Rent A Car. They were nice people and not too expensive. 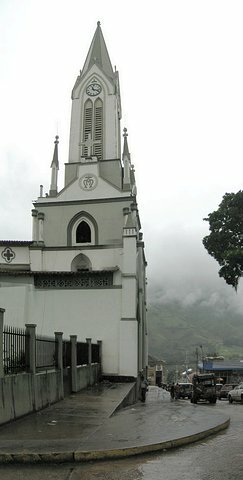 We had a choice to go either east to places like the Grand Sabana and Angel Falls, or head west to the Andes. Since we didn't come prepared for hiking and jungling we went west. The start of the trip was easy. We just headed in the same direction that we did when we first got to Venezuela. We hardly got lost at all this time. 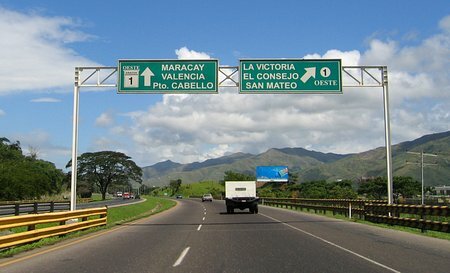 The border between the state of Aragua and Carabobo near Maracay was nice. The further we went the more interesting the road became. We didn't come across any landslides, but we saw evidence of a lot of them. 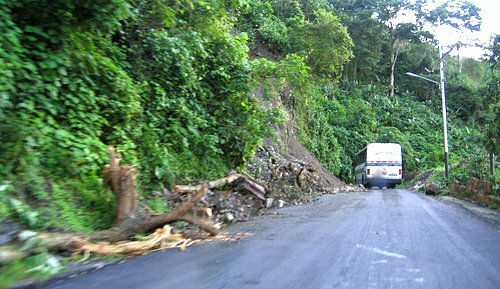 Near Peña Blanca. We were beginning to think that we had the wrong model of Toyota. Hey! At least I wasn't doing this bad of a job of driving. This was near Paraiso de Chabasquen (like as if you are going to find that town on a map). We got quite a few screwy looks from people as we drove by. The size of our car, and the condition of the road was probably why. I'd say we were right on the edge of what was possible with the little car. 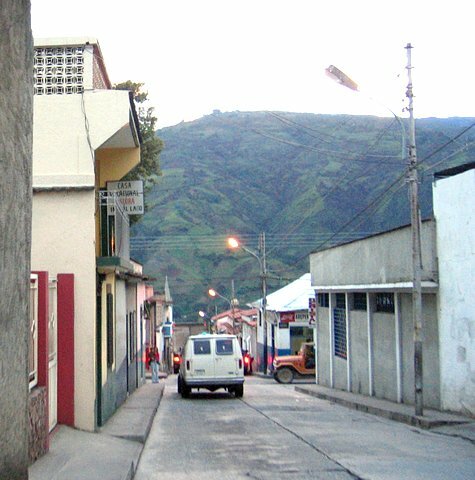 Below is just another village between Biscucuy and El Batatal. Heck, this could even have been El Batatal. By the time we got to Boconó, about 450 kilometers from Caracas, it was Polar Time. 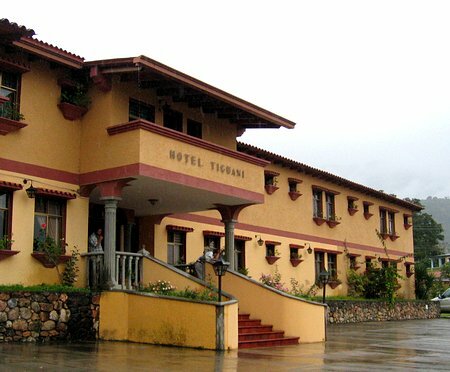 We made a loop or two through town and found the Hotel Tiguani. 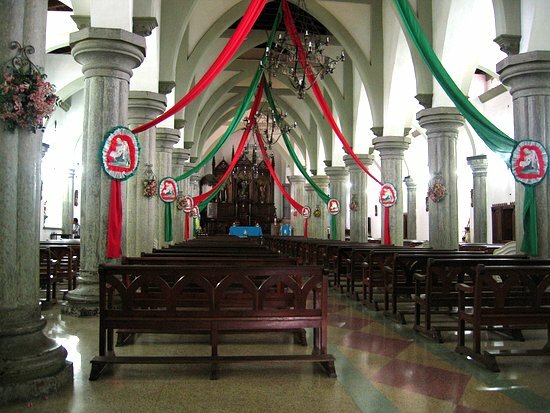 The population of Boconó is about 45,000. 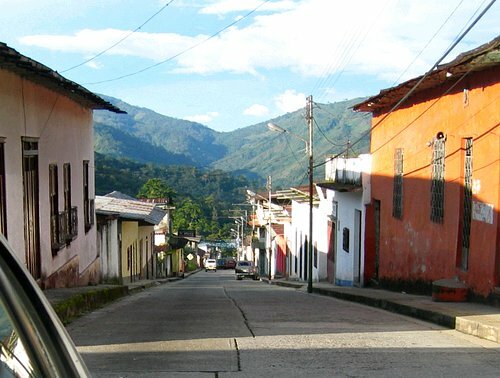 Below is looking down Calle 6 Jáuregui towards Plaza Bolívar and the church. This was the main street going down towards the river. There was another one just like it over one block the went back "up". 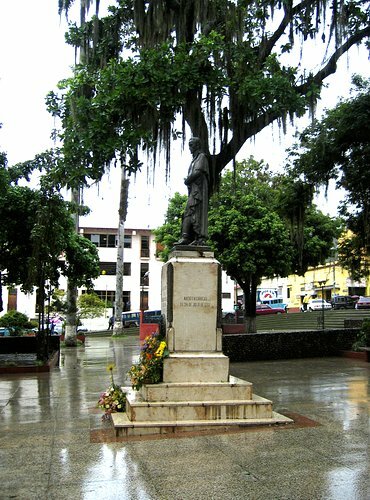 A town was originally founded where Boconó is today in about 1560, but it was actually the original location of the town of Trujillo, now the state capital, which ended up being moved about 20 kilometers to the northwest. The original setters that decided to stay were basically cut off from the rest of the world by the geography for centuries. 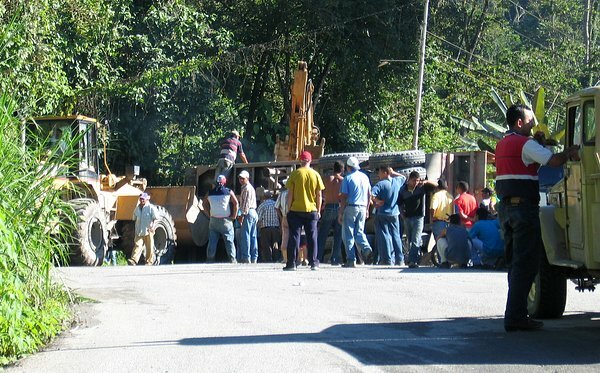 In the 1930s the Trujillo-Boconó road was built and the town began to grow.